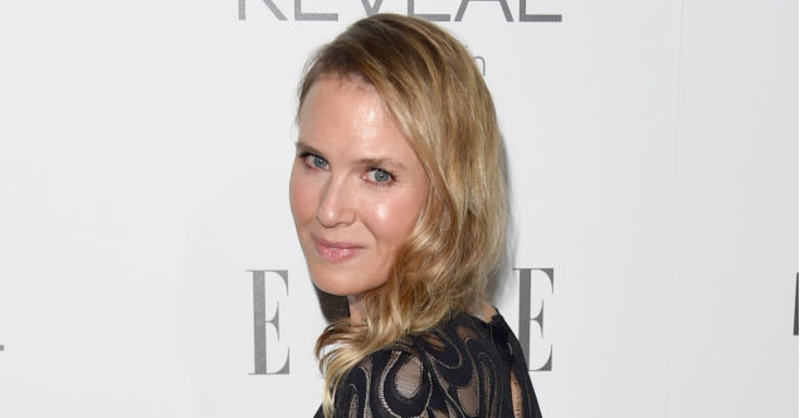 Renée Zellweger's Co-Star Defends Her: "She's Stunning"
Renée Zellweger's co-star in the upcoming film The Whole Truth, Gugu Mbatha-Raw, defended her appearance in an interview with E! News last night. "She's stunning," she said. You can see pictures of Zellweger from that night and other nights here. Is the shape of your face ruining your chances of finding life-long love and therefore happiness and a satisfactory life? Some British scientists found that the shapes of women's heads are correlated to whether men consider them desirable for short or long-term relationships. 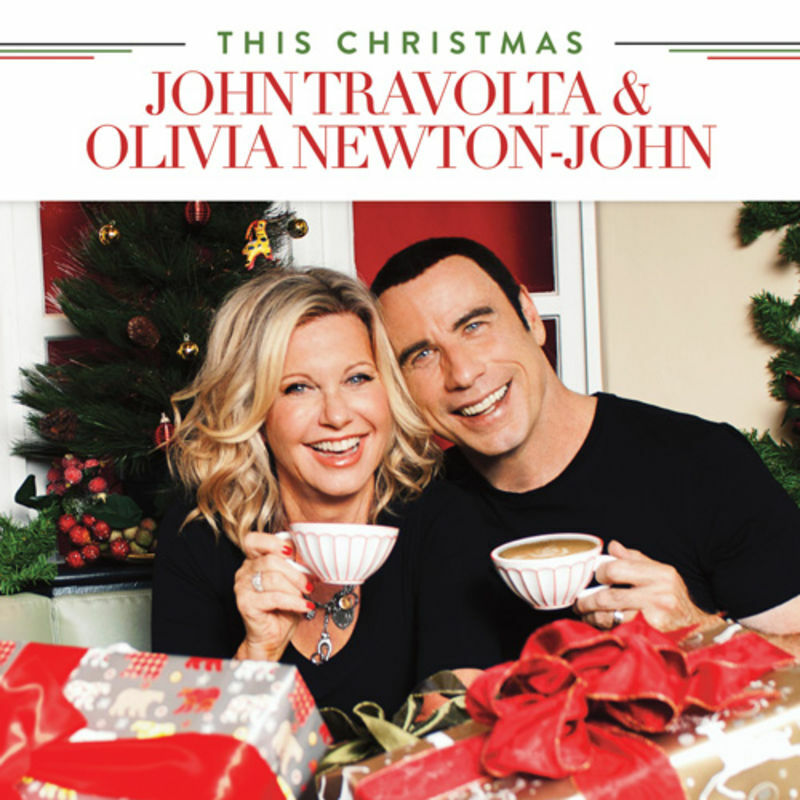 Behold: The cover for This Christmas, the upcoming joint holiday album from the reupholstered pods that once held the souls of former onscreen lovers John Travolta and Olivia Newton-John. It looks like they're having a hot-cocoa-and-gift-wrapping party, how neat. 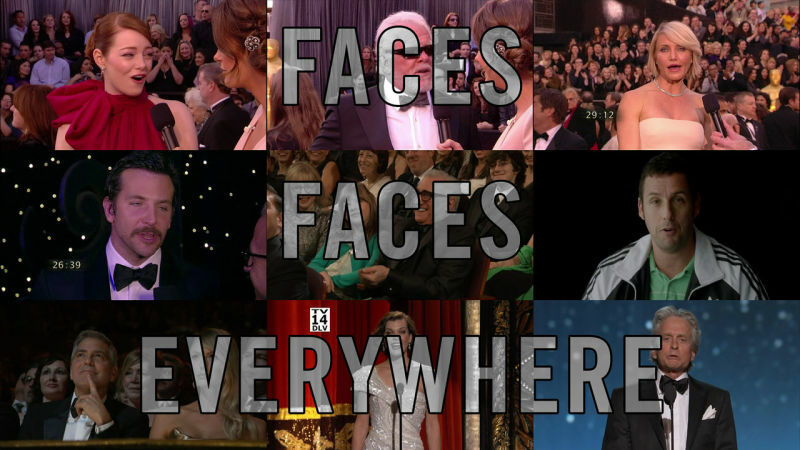 Sure, last night's Academy Awards were the worst Oscars ever. But that doesn't mean we were deprived the always-glamorous faces of the silver screen. Happy faces, sad faces, faces incapable of emotion due to injections—they're all here for your perusal. Canadian researchers have been studying a 22-year-old woman and lifelong amnesiac who can't remember the faces of anyone unfamiliar or non-famous. Show her a photo of baby-voiced celebutante Paris Hilton, however, and she has almost no trouble identifying who it is. Paris Hilton's face will not be stopped. 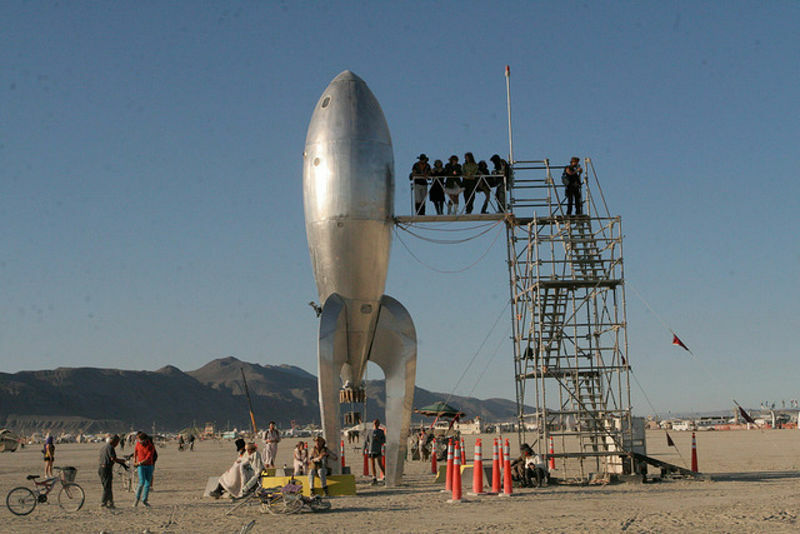 Rocket starships! Robot wings! Radar X-ray! Huge amoebas! Gravity detector! Solar Himalaya! Nanoparticle assembly! 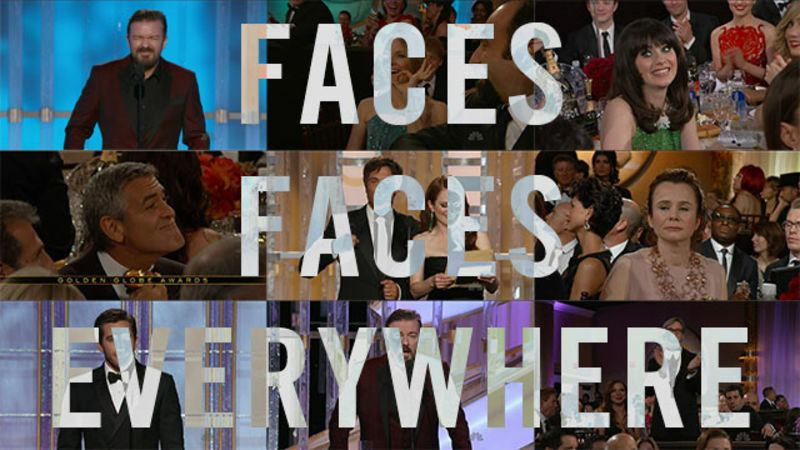 Leader faces! And a solo-visaged octo-tentacled beast that will haunt your very nightmares! It's your Tuesday Science Watch, where we watch science—and beyond! Our investigative series on Nicole Kidman's struggle to move her face continues. Last time, feeling had returned to Nicole's chin. But at SoHo's Apple Store this weekend, Our Lady of the Frozen Features struggled mightily. Let us analyze the results. 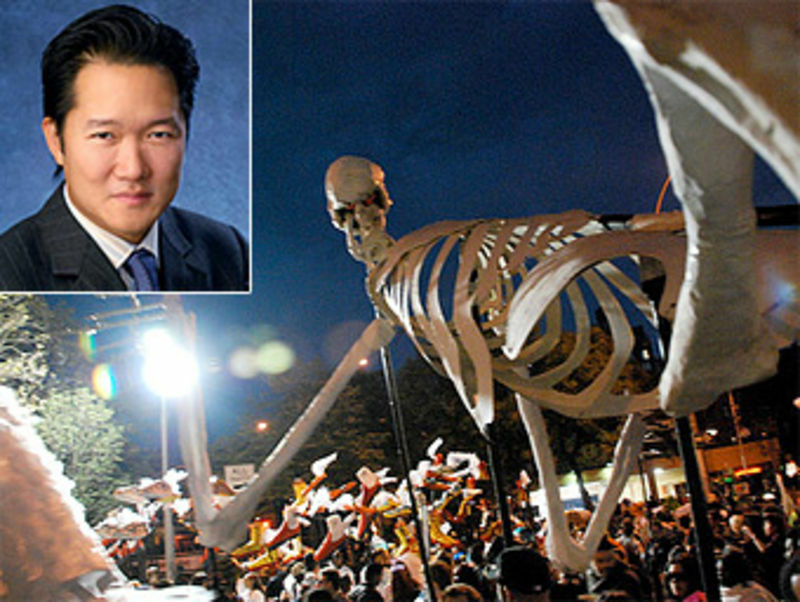 Halloween was not without its casualties: The NYDN reports that a "marauding clown" at the Greenwich Village Halloween Parade broke reporter Arthur Chi'en's face in six places when the clown scaled Chi'en's float, then knocked the newsman off of it.